…But there are new password requirements on some MPNforum features. Effective Sunday, April 22. both the Catalog of MPN articles, a hyperlinked listing of all articles published in the Forum with abstracts and photos and our List of Patient-Recommended Hematologists were password protected. Mostly it’s a reminder. We need you to subscribe. The password is supplied to Subscribers. Subscription to MPNforum is fast and easy and free… requiring only an e-mail address. The SUBSCRIBE box is on the righthand side of every MPNforum page. But if you can’t subscribe right now and need to check those pages, the password is mayday. Why the change? We need to encourage reader subscription to MPNforum Magazine. The job of notifying members of the MPN community of publication, breaking news and special events takes a considerable amount of scarce time. We e-mail patient and caregivers individually and publish brief notices in MPD-Support, Facebook pages and the MPN Research Foundation for the most part. By contrast, with a single keystroke, notifying Subscribers is swift and assured. 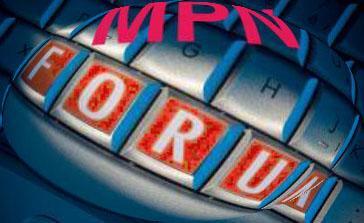 Every issue of MPNforum is freely available to everyone on the Internet. We want it to be that way. But, as a result, subscribers account for less than 10% of our monthly readership. Please do consider subscribing today. You’ll get advance notice of publication, occasional special posts and news briefs.and the option to join the private MPNforum Facebook group…and you will be helping us out.